Newcastle XI: Elliot, Janmaat, Taylor, Coloccini, Aarons, Shelvey, Tiote, Sissoko, Wijnaldum, Townsend, Mitrovic. West Brom XI: Foster, Dawson, McAuley, Olsson, Chester, Yacob, Sandro, Gardner, Fletcher, McClean, Anichebe. Rondon is played in - all he had to do was find Berahino and it would have been 1-1. It found Daryl Janmaat instead. Newcastle were so lucky. So, so lucky. There are five minutes of it. How are the nerves, Newcastle fans? Henri Saivet comes on for Jonjo Shelvey, although it's Newcastle team-mate Moussa Sissoko who appears to be struggling. This getting stupid now. Daryl Janmaat plays a great ball along the six yard area, but no Newcastle player could get a touch. Ayoze Perez comes on for Newcastle - replacing Andros Townsend who comes off to a deserved standing ovation. Andros Townsend, who has had a superb game, picks out Gini Wijnaldum, but the Dutchman's final shot is weak and is easily collected low by WBA keeper Ben Foster. You can count the number of Magpies attacks on 10 hands. Jonas Olsson becomes the third Baggie to go into the book. He took Aleksander Mitrovic out. That was interesting. Baggies on loan midfielder Alex Pritchard fires a 20 yard free-kick which dips just that wee bit too late. Great effort though from the former Brentford loanee. Have Albion given up? They are only a goal down but seem to have lost the will at St James'. Forward Salomon Rondon is on to try to change things. HITS THE WOODWORK and CLOSE! Andros Townsend, on his home debut, nearly scores a wonderful goal. The former Spurs man looks to shoot, sells the dummy, and then with his other foot fires an effort that comes off Ben Foster's left-hand upright. Moments later, Moussa Sissoko plays a one-two with Gini Wiljnaldum and then fires wide from the angle. It would have been a superb goal. Gini Wijnaldum, who has scored all his league goals at St James', heads over from six yards from a lovely Andros Townsend delivery. "Newcastle have started where they left off in the first half, they are making Albion retreat and they are not allowing Albion to get forward." Saido Berahino has a eight-yard shot blocked by the leg of Steven Taylor - Newcastle looked shaky at the back there. Bit of hope for the Baggies. Baggies have an effort on goal! Substitute midfielder Alex Pritchard tries his luck from 20 yards, but his luck was out. Well out. Tiote is OK. Made of tough stuff is the Ivorian. Still waiting for a Baggies response - they have Berahino on the pitch but he just played a loose pass... not a good sign. It's a Geordie Alamo for the Baggies. First Jonjo Shelvey has a shot blocked then Andros Townsend is prevented. Newcastle's Cheick Tiote is down after landing awkwardly in a challenge with Victor Anichebe. Gareth McAuley is getting treatment after he brought down Gini Wijnaldum and got a yellow card. The Baggies down to 10 for a bit. Meanwhile, Jonas Olsson makes a good block to deny Moussa Sissoko launching one from 10 yards. 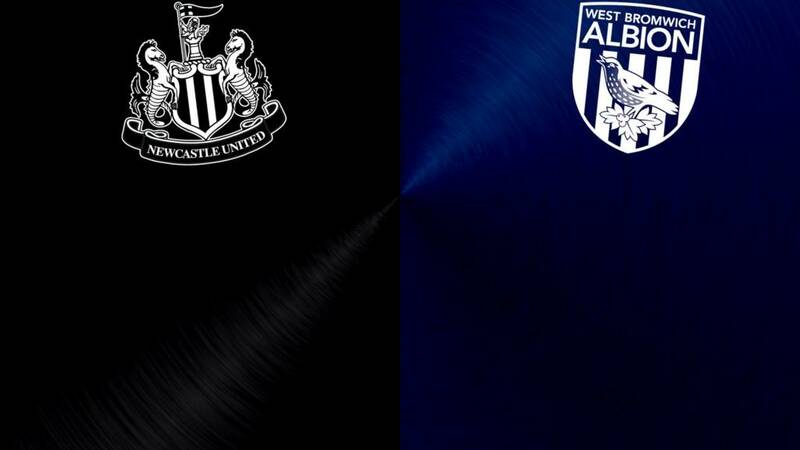 Magpies target Saido Berahino comes on for the Baggies. He and loan signing Alex Pritchard replace Sandro and Craig Gardner. I thought Gardner was decent. As things stand, Newcastle would be out of the bottom three with this win. Er... they'll be partying down the Quayside long into the night if things stay the same. OK, perhaps not.